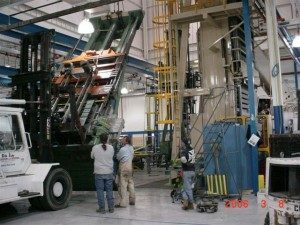 Machinery Installers in all industrial applications – D&J Machinery And Rigging LLC. – Heavy Machinery Equipment, Moving, Hauling, Removals, Installation, Recovery & Transportation, Crane. Machinery installation is a complex operation. You need a company with installation experience in all industrial applications. The team at D&J Machinery And Rigging LLC is made up of well qualified engineers and tradesmen, who can meet the needs of your complex machinery installation projects. Our expertise means your company will have new equipment installed with the minimum disruption to your operations. At the same time, we understand that safety is also a top concern. Getting your machinery installation project done safely is our priority. Our experience across a range of industries means we get installations done cost-effectively and on schedule. In addition, D&J Machinery And Rigging partners with clients across the entire installation process. We work closely with you to ensure we understand the unique needs of your company’s operations. Across a range of industrial applications, D&J Machinery And Rigging is the choice for expert heavy machinery installation.